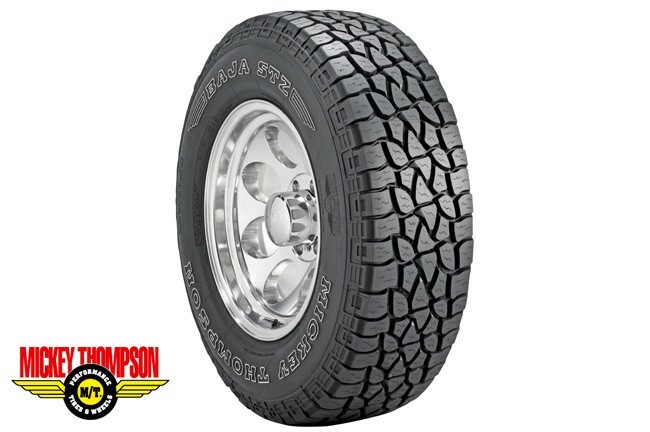 The Baja STZ offers excellent steering response, superior grip, and great all-weather traction making it the perfect choice for work, play, or sportsman applications. It's also got an aggressive tread design, variable density nylon over wraps, serrated tie bars and shoulder scallops, and strategic siping for improved stability, long wear, and traction in wet or icy conditions. Strategically Placed and Shaped Siping to Promote Long Wear and Improve Traction on Wet or Icy Surfaces. Serrated Tie Bars and Shoulder Scallops for Improved Tread Element Stability and Off-Road Traction. Multi Draft Lug Angles Improve Self Cleaning, Increase Lug Stability, and Reduce Stone Retention. LT Metric Sizes Offer Increased Towing Capability.